A good hard bar of soap, which doesn't melt away in the bath so last a long time making it great value for money. Still lathers well and has a luxurious floral sent that stays even when washed off. Simply packaged in a plastic film wrapper - no excess packaging. Leave skin soft and not dry like a standard soap. I'm not keen on the scent, but that's a personal choice. Other than that NONE! 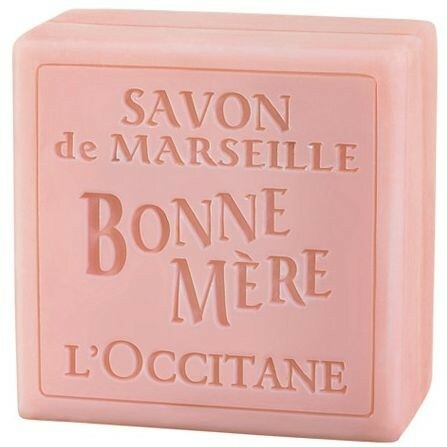 I love L'Occitane products as they are not tested on animals and are full of lovely natural ingredients rather than lots of parabens and the like. This smells like a real rose in the garden and has a lovely strong scent that lasts the life of the soap. It also makes my bathroom smell good when it is being used. the lather is lovely and creamy and the soap actually lasts quite well so it is not bad value for money for a nice little bit of luxury. There are cheaper soaps you can buy!! 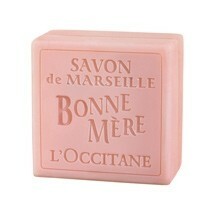 This little soap smells devine,i love the rose scent,so fresh and girlie. It is a great chunky size and not too expensive.